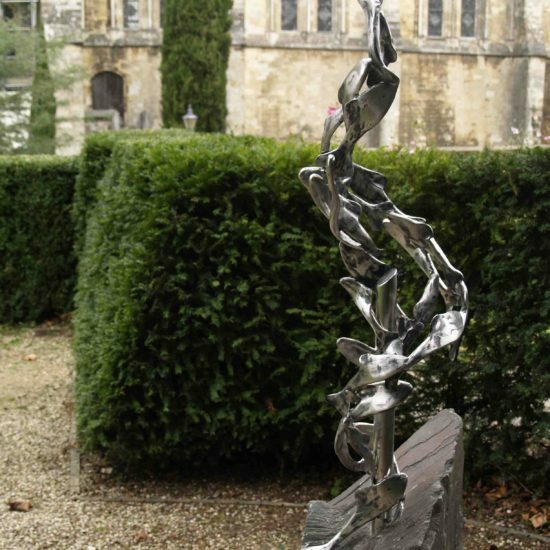 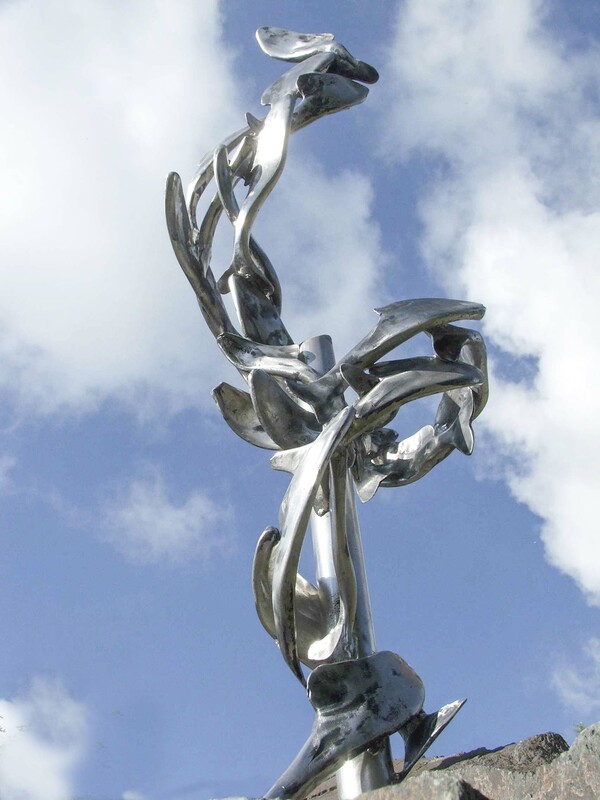 Created in stainless steel and Kirkstone Green slate, this 2.5 metre tall sculpture was commissioned for the Dean Garnier Garden at Winchester Cathedral. 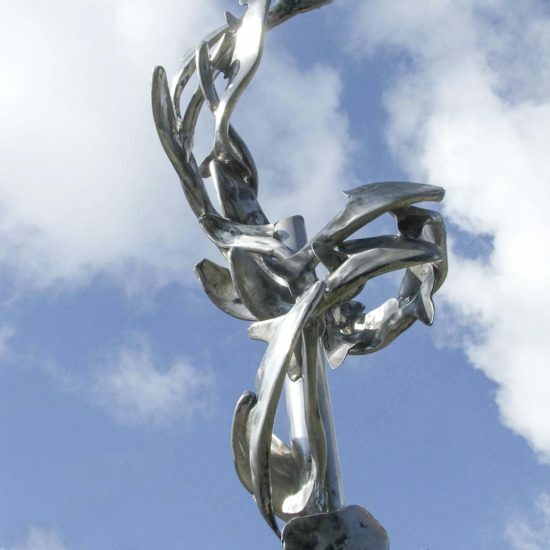 A swirling shoal of fish rise upwards from the rock reflecting the changing colours of the sky and accentuating the surface of the fish. 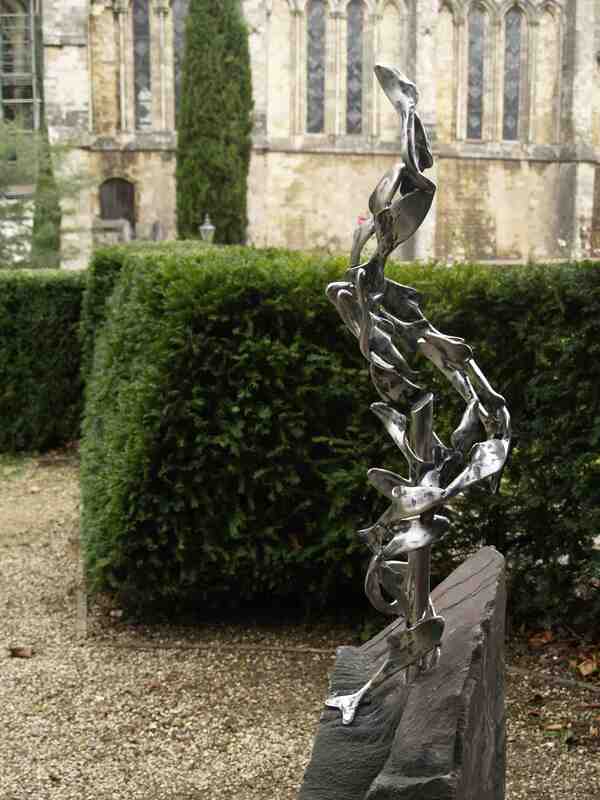 The sculpture relates well to its ecclesiastic site close to the Cathedral and works in harmony with the garden.